A phrase we don't hear very often anymore is usually applied to rulers and surgeons: “Playing God.” It might be revived to explain President Trump. Playing God can be described as: few explanations, no apologies, no accountability, and above the laws of man. So far, “playing God” is working for him. And it might explain why 81% of evangelicals voted for him. He sounds familiar to them. Now that I have your attention... here's a question for a true believer: Can you tell me if there was ever a time when everyone in the world was bad? When I asked one believer, her answer was “No.” Thinking about that many years ago, I realized just how stupid and psychopathically anti-human the Noah/great flood story is. Then national 4th of July fireworks display, broadcast live on public television, was as ever, spectacular. The final, longest-lasting barrage was accompanied by an orchestra playing “God Bless America,” although we can be sure the audience had its mixture of other god’s believers and non-believers in attendance – all Americans. But those Christian nation propagandists used our nation's birthday celebration to force their opinion on all of us. Do they believe God blessing America is contingent on America living according to their beliefs? Don't they sincerely believe that “we” are moving away from their Lord and the entire country will be punished if this keeps up? If there's one lesson to be learned from their bible, it's this: God punishes the innocent for the crimes and misdemeanors of the guilty. 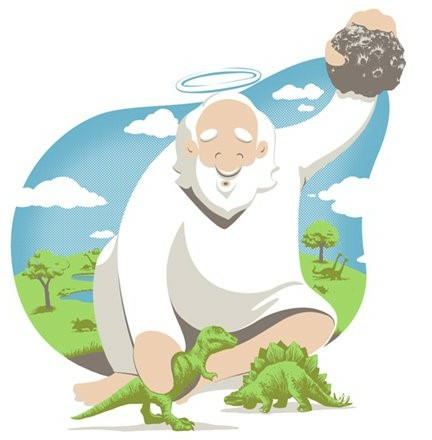 According to the Ten Commandments, God will punish one's own children, grand-children, and great-grandchildren. And that definitely applies to civilizations. It's no wonder they're afraid. The bible spends an extraordinary number of pages telling stories to convince readers every member of certain tribes, cities, civilizations, and at one period of time, everyone in the entire world, was totally bad. Therefore, every single person in them, men, women, children, and infants, deserved to be wiped out. The most preposterous stories in the Christian bible and Islamic Koran are related to that end, in a kind of one-upmanship of tall tales that become exaggerated to a dramatic climaxing of the world's end. In that story, the destruction of everyone not a Christian or Muslim on earth is prophesied. But another reason the scriptures were written was to justify humans killing “the others,” which is justification for killing those who don't agree. The scriptures were written was to justify humans killing “the others,” which is justification for killing those who don't agree.Good questions for Christians: Do you think most Muslims really believe what's written in their Koran, only some things, or are they just going along with what they think others believe? Do they really believe Mohammed floated up into the clouds on a horse? That's silly, but Is there any harm in their not really believing? If they are pretending, isn't there hope they can change their minds, or at least eventually be more flexible? After all, most Muslims can't follow what's written in their Koran, because it's written in flowery Arabic, which doesn't relate to their vernacular. Muslim believers are in a situation like that of Christians in the West when, for centuries, Christians couldn't read their bibles because they were written in Latin or Greek. Not being able to access their scriptures leaves them open to the interpretations of those who claim to be scriptural experts. Nowadays they are deterred from this through a clerical deliberate process of ignoring unpleasant passages. Think about young men taught to kill for Allah, by Islamic teachers picking verses from the Koran and succeeding, since the boys aren't familiar with those verses. Consider their upbringing, their enthusiasm for Allah combined with ignorance of their scriptures. It's just too easy to exploit their feelings. The God of the Koran and Christian Bible commands them to kill the infidels, i.e., each other. And all of them suffer from the belief their society will be punished for being unfaithful.